How does pollen move around mango orchards? The team are currently in Australia's Northern Territory, where mangoes are flowering in the tropical winter, investigating this question (see previous posts here). Collecting insects is the key to answering it. After an insect is collected, pollen is scraped off the body using scalpels and tape. The collected pollen is mounted on a slide and the pollen sample is checked in the lab to see how much and what kinds of pollen are present. The pictures below show research assistants Jim and Jeff working in the lab. The magnified grains are mango pollen at 160x magnification! First sightings of mango pollinators! Some of our team are enjoying the tropical winter in northern Australia, all in the name of pollination ecology! 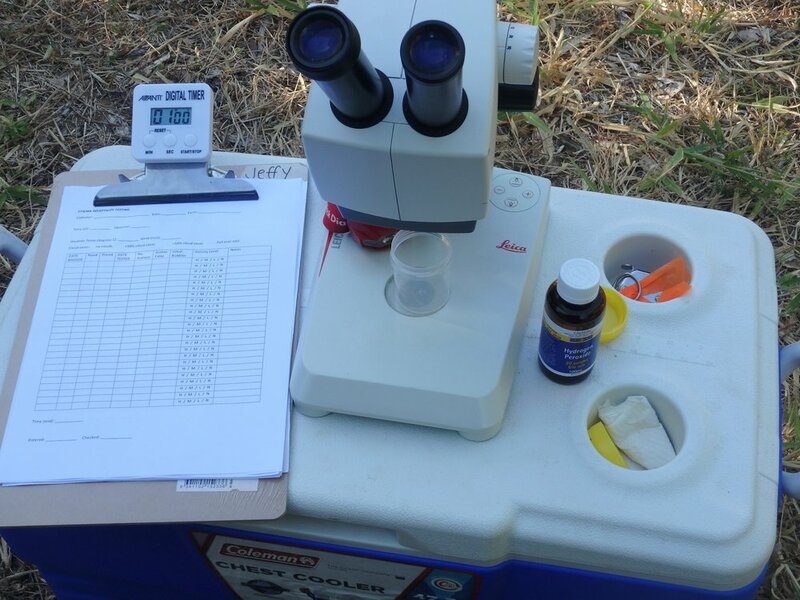 Read our previous posts as the team arrived in Katherine NT and did some cool field science on mango stigmas. The latest update from Lindsey has some exciting news, including a video of a native Homalictus sp. bee pollinating a mango blossom! From Lindsey: We are observing mango flowers to identify the visiting insect community. We've seen and collected at least 40 different insect species across 6 orders. We hope to create a reference collection for mango and to quantify the proportions of the different insect species to determine which are the most influential visitors in pollination. 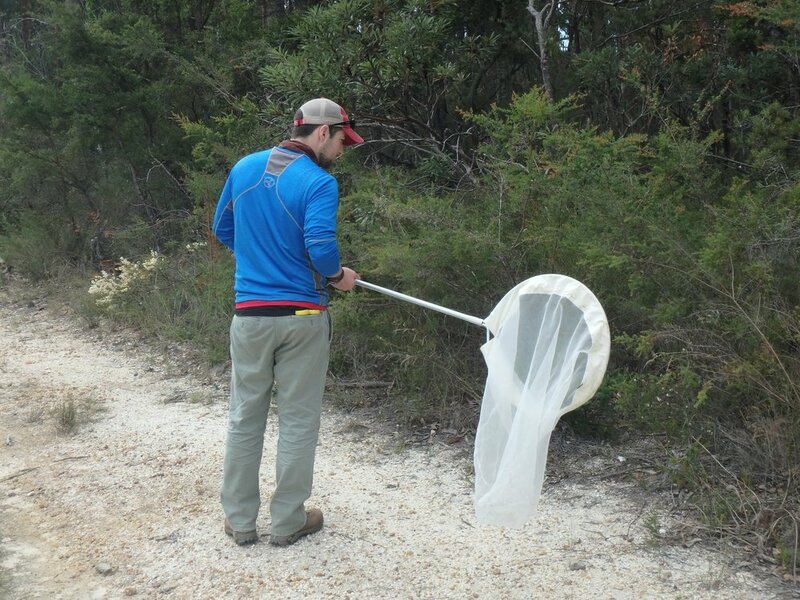 Testing stigma receptivity in the field can be tricky, but it is important component of pollination ecology projects. To test mango stigma receptivity, we collect mango flowers and submerge their stigmas in hydrogen peroxide. If the stigmas are receptive, they will produce bubbles rapidly. As receptivity falls so does the rate of bubble creation. 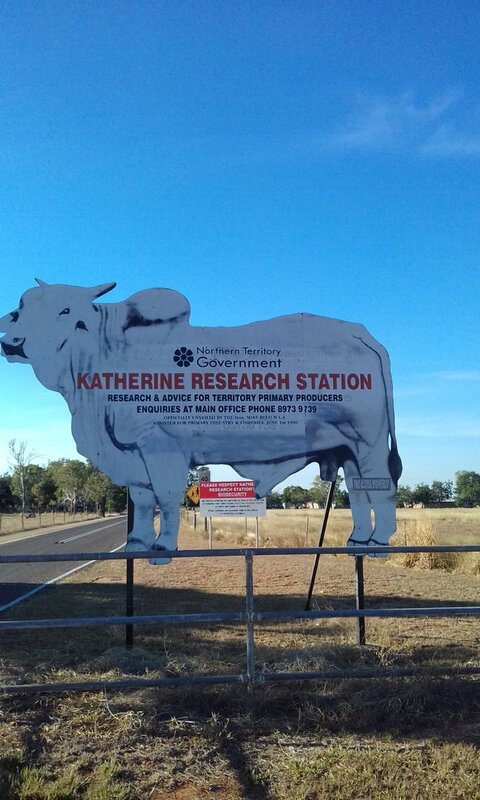 Some of the Rader Lab team are in sunny Katherine in the Northern Territory for the mango flowering season! The team, including Lindsey, Amy and new honours student Brent, will be identifying mango pollinators and working out pollination efficiency for different insect species. The team then head off to North Queensland to do it all again. Stay tuned! 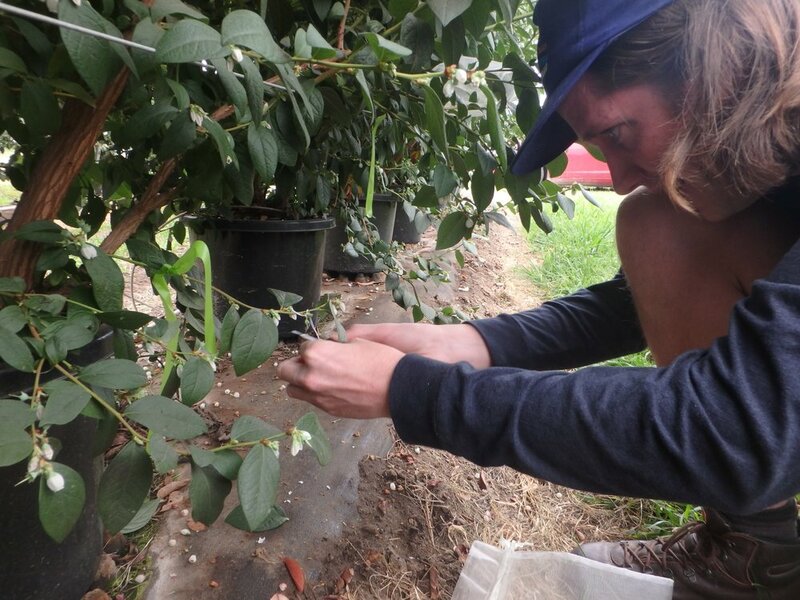 Some of the Rader Lab team, led by PhD student Liam, are working in the blueberry growing region on the beautiful north coast of New South Wales coast as part of our fruit crop pollination project. The evergreen blueberry varieties here are in flower from April through to June/July. 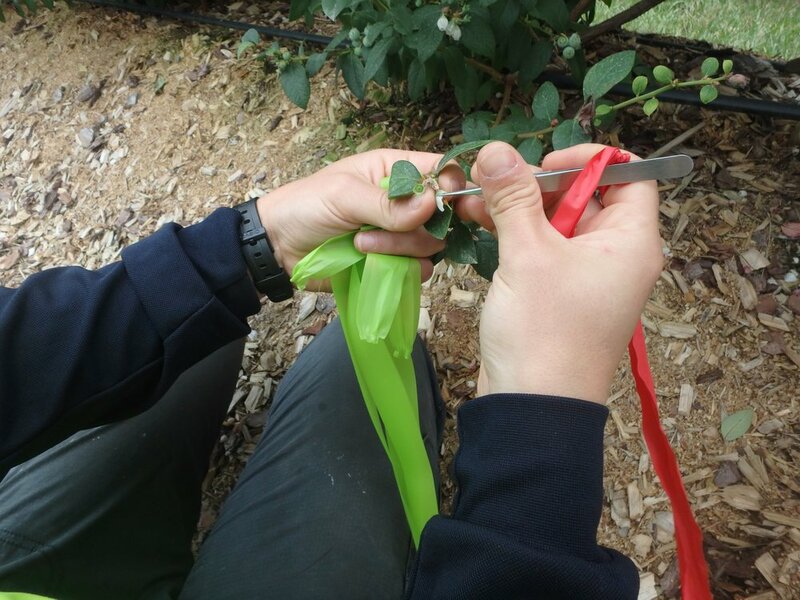 The main purpose of this field work is to establish a link between pollinator efficiency (floral visit number and composition - including species order) and fruit set and quality. 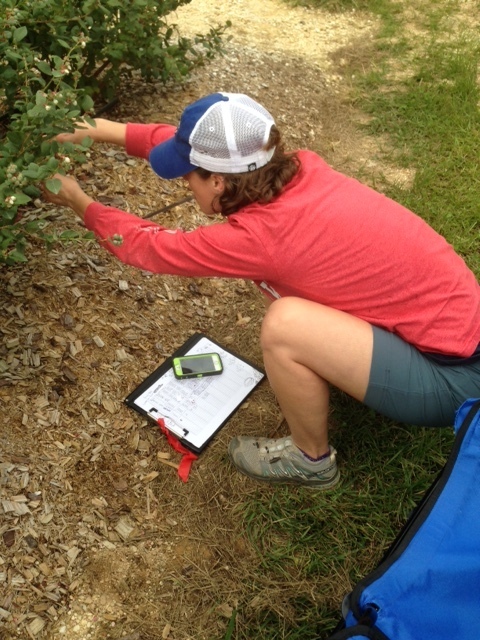 We have also been assessing bee and hoverfly diversity in and around blueberry farms. So far we have found roughly 15-20 bee species in the vicinity of blueberry farms. Interestingly, these bees (including native blue-banded bees, teddy bear bees and leaf-cutter bees) have no interest in blueberry flowers – instead they love the flowering weeds (eg. farmer's friend Bidens pilosa)!